Discover Singapore’s biodiversity at the Festival of Biodiversity this Saturday and Sunday (3rd & 4th September 2016) at the Eco Lake Lawn, Singapore Botanic Gardens (near the MRT). Many fresh faces from NUS Toddycats, Otter Watch, Common Palm Civets and International Coastal Cleanup Singapore trained together to present specimens, exhibits and engage the public with stories and activities. 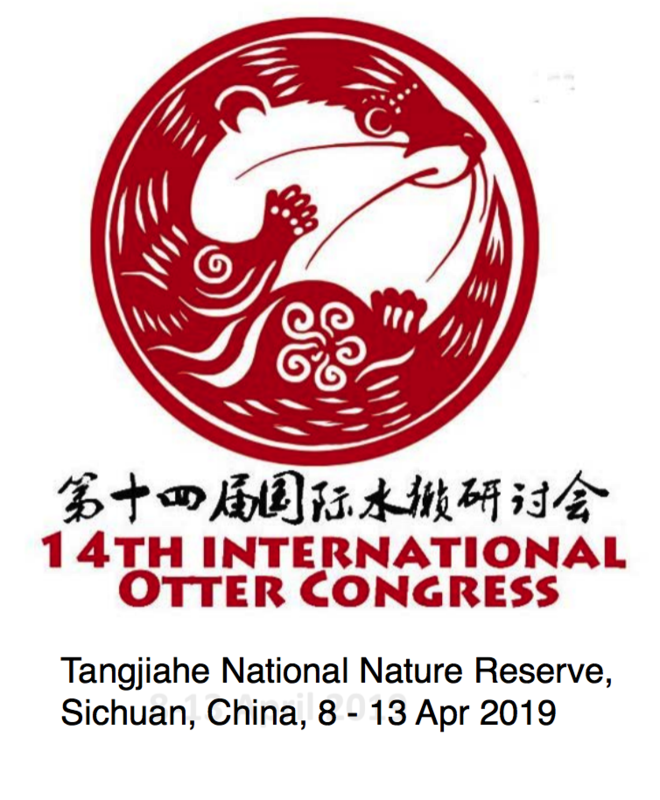 It will be an invigorating and educational two days fuelled by enthusiastic volunteer guides from the many nature and environment groups and NParks – this visit will plug you into the active world of biodiversity research, education and conservation in Singapore. This Festival was conceived in 2012 by the Biodiversity Roundtable with the intent to provide a showcase of Singapore’s Biodiversity and to offer an opportunity for the public to engage with the many groups active in Singapore. There will be exhibitions, free indoor and outdoor activities at the festival! 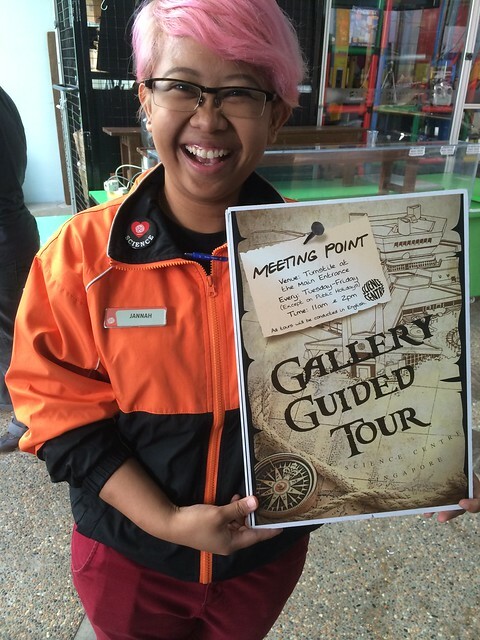 New at the Singapore Science Centre – guided tours! At the Science Centre Singapore on Saturday for the X-Science Symposium, some of SCS’ friendly staff dropped by to chat with us, and informed us of upcoming tours. Tours? At the Science Centre? I was surprised, and they said, yes, this is something new. 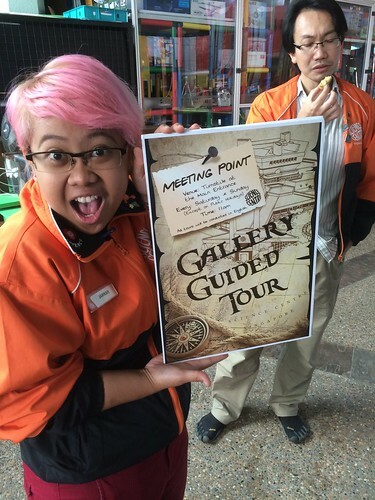 A tours is a excellent idea for visitors to join to get a feel of the displays and interactive exhibits there. The friendly and energetic staff are well tuned to their mostly young visitors and that makes them very approachable. Adults who may need some time to shed their inhibition will get into the spirit of exploration with encouragement of these guides. You can see how Jannah here readily posed with the boards! A guide always make a big difference and I’m glad to see these tours introduced. All tours begin at the Turnstile of the Main Entrance and are conducted in English. Note the specific times for weekdays and weekends. The Science Centre is open from 10am to 5pm daily and is closed on 05 May; 18 Aug & 13 Oct 2014 for maintenance. We have been working at this in the midst of exam script marking and processing with Tze Kwan checking in from Australia. A fairly last minute arrangement, but we have a good partner there and we want to give this a shot, to reinitate what we can do with out libraries. Civetgirls Weiting and Tze Kwan have been leading the Toddycats exhibitions effort and specimen preparation with Kelvin Lim’s support. And they have also been looking into processing manpower recruitment. It has been to see quite a number of NUS undergrads sign up for Raffles Museum Toddycats after I sent out the post-exam activity advert. It will be good exposure for them and make them much better biologists as they will use their knowledge in a meaningful and holistic way. Just like they keep professors at the university alert with their questions, the public will do the same to them. It also means Toddycats will have enough to entertain every kid who turns up, so Weiting, Tze Kwan and I have pressed on with this somehow. The “casualty” of this effort was the loss of the exhibition booth at the Sungei Buloh Anniversary Walk as we are too hard-pressed to organise both while we will be away intermittently. Still, in the midst of nature, we can afford to lose the booth and focus on our surroundings instead. My honours students who would traditionally pull their weight for nature conservation by running the exhibition at SBAW are instead giving talks at the library! So I am feeling quite happy about all this. Our Department of Biological Sciences veteran Yong An Nee has made yet another lovely poster (below) and we feel close to the finish line now! Publicity will be initiated by the library to reach nearby areas and of course we will rely on our natural history network and WIldSingapore. The Geylang East Library is no stranger to nature as it was the Nature Society (Singapore) venue for talks for a very long time. “This exhibition depicts Singapore as seen through cartographers, geologists, mariners, military generals and town planners. Beginning with the arrival of the British and merchants from the nascent East India Company, to military strategists of Imperial Japan and postwar city planners, Vignettes in Time provides snippets of little-known histories. Photos on Flickr. We were there until we got kicked out. Verdict: Southeast Asia comes to ACM. A light touch of a heavy subject. Worth a visit. Admission Charges: $5 (adults) / $2.50 (full-time students / senior citizens). Free admission for children aged 6 and below. I was at the International year of the Reef celebrations on the eve of National Day and at the exhibition the next morning. I was certainly surprised by the number of people who came! I had another round of excitement as I changed my presentation the last minute, or rather in the last hour. Also held the first pro-tem meeting for Envirofest 2009. Wrote it all up on the Toddycats blog.